Mandrill can resend an individual email that has soft-bounced or delivered as long as the message content is available. Messages cannot be re-sent in bulk, and re-sending a message will consume send credits. Messages that are rejected cannot be re-sent with this feature, as the content of rejected messages isn't processed or stored in Mandrill. Learn More. Click Activity in the top menu. Fine or search for the message you want to resend. Click Resend. If the Resend button isn't available, the message can't be re-sent (ex. the email hard-bounced, the recipient unsubscribed, marked the message as spam, or the content storage period has expired). 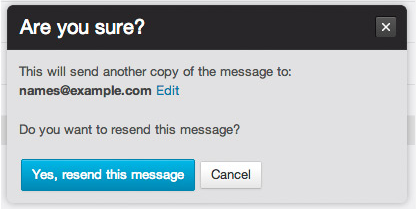 In the confirmation window, click Yes, resend this message. Look for the success message at the top of the page. If the message couldn't be resent for any reason, a message with error details will appear. 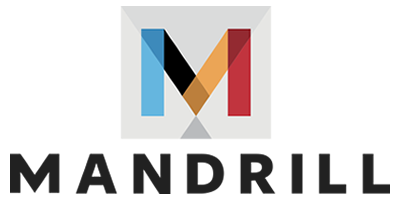 Mandrill will show you how many times an email has been resent under the Resend button for the original message. Click on the number to see date and time details for re-sent emails. When you resend a message you can specify a different recipient email (useful if the original address included a typo, for example). 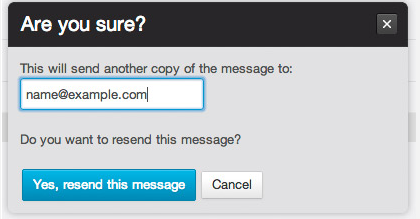 In the window that appears, click the Edit link to change the email address the message should be re-sent to. Click Yes, resend this message.